Our Mission is to provide our services to make customers satisfied. When we complete our mission and our customers feel satisfied, we can feel satisfaction at the same time. This pleases us and leads to our confidence and pride. 1. providing safety and reliability. 2. creating means of transport. We established our following strict organization chart of Occupational Safety and Health Management Systems to prevent traffic accidents, product accidents and industrial accidents. By doing so, we aim to earn the the trust of our customers, and provide logistics services which are congenial to our society. Every year, each office makes an action plan to achieve the goal of zero-accidents and executing it to improve our safety. Monthly reports of the progress are made at the Occupational Safety and Health Committee Meeting to have mutual checks, to improve levels of execution. Risk assessment is the starting line of safety management. Specifically speaking, risk assessment is a way of continuously lowering danger levels, by specifying the source of danger in each working process of transportation, packing, customs clearance, loading/unloading and contract work etc. by prioritizing danger levels. This is the main source of information in making educational plans and annual safety target contents. all employees by a person responsible. 1. The site manager using check lists patrols on site to examine if the operations in our sections are carried out safely and efficiently according to each operation and item, such as regulation, the 5S activity, forklift, transport, packing and loading/unloading. These skilled supervisors check these operations regularly on site to find problems out earlier and can help to prevent potential accidents. Our Quality Control division, from a third party's point of view, annually evaluates situations for legal compliance at each office, their goal status execution and their educational plans, and the efficiency of transportation, packing, customs clearance, loading and unloading, contract, recruitment, and other other services. If they find matters which need to be improved, they sort the matters into one which each office can solve on its own, or one that needs to be solved at a larger company level. Due dates are set to make effort to improve our safety performance and	quality and environment management even more. 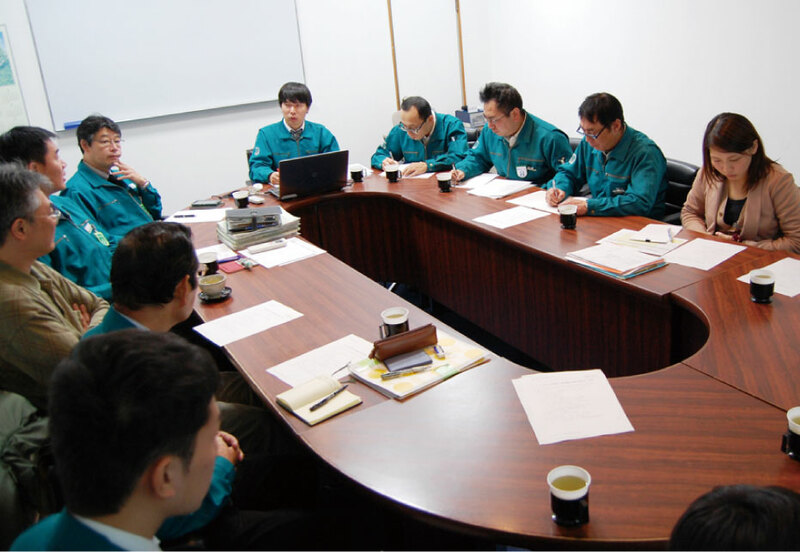 Once an accident has happened, the Quality Control division will hold a direct meeting with the person who caused the accident and the manager from the office. In this way, we can learn the exact cause and counter measures which will be taken, summarize the details in a corrective action report, and forward this report to other departments in order to prevent and avoid recurrence throughout our company. We set up the system to prevent extended damage by a disaster from occurring by taking proper initial actions and promptly after an accident has occurred. Specifically, we make a list of the actions (matters of implementation) which those who caused the accident and each manager in charge should take, by types of accidents and also by dividing the time frames, into right after the accident, the day of the accident, the following day, and within 10 days etc. In this way, we can minimize the expansion of the disaster and damage, and use it as a case study to make the most of it and learn the lesson. "Love the sinner, hate the sin" is our principal, however, we hold the Discipline Committee based on our working rules to apply disciplinary action for employees who have caused a serious accident, so that they have materials to reflect on. certain criteria. 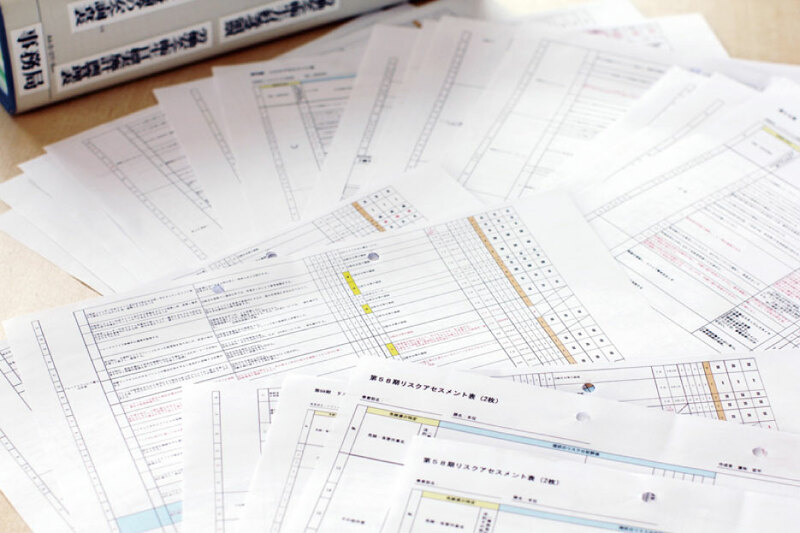 The Japan Trucking Association, which is the national motor truck transportation business moderation operation implementing agency, evaluates the operation for the business office for the G mark. This program's objective is to make safety improvements in business fields, allowing users to easily select high standard companies. 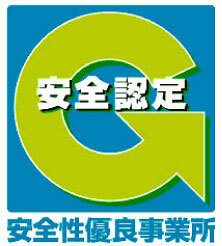 Our company was G mark-certified in all of our business offices which carry out transportation, in addition to ISO and OHSAS certifications. We give No-accident awards to our drivers who have achieved no-accident driving every month.